Fort Worth will get a taste of West Texas in January 2015 with the opening of Thurber Mingus, a restaurant that aims to offer a contemporary twist on the border-town patio cantinas of West Texas. Featuring "rustic border cuisine," the restaurant will open at 4400 White Settlement Rd., in what was once the Froggy's Boat House space. Chef-owner Coby Baumann hopes to re-create the food and ambience he grew up with in West Texas. "We are building what I call a throwback West Texas-style cantina with a modern twist on tacos and burgers," he says. "We hope to host acoustic music outside with a garden patio, and quick service upstairs. 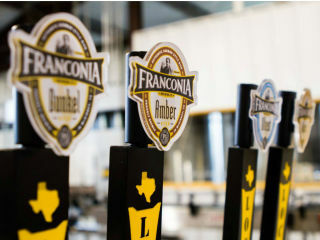 Our bar will feature local breweries only, from around the Metroplex, and only beers from Texas." Beers on the short list include Franconia, Peticolas, Rabbit Hole, Revolver, Four Corners and Rahr. Baumann is a trained chef who's been consulting for the past few years, and he has worked in the country-club scene at institutions such as Sky Creek Ranch in Keller and the Fairway Oaks Country Club. "I've been sitting on this concept for about eight years," he says. "I'm gearing it towards Millennials. They're the ones who are pushing the market forward." The menu includes tacos with pork; chicken empanada; chili with stewed meat, beans and a fried egg; pupusas stuffed with sirloin and queso; chips and salsa; salads; and tacos with choice of chicken thigh, sirloin, skirt steak or green chili pork. Burgers come topped with green chili, caramelized onions and blue cheese, goat cheese and bacon jam, or poblano with queso and green onions. Sides include beans and rice, guacamole, and French fries with herbs or a spicy "border" flavor. Desserts include banana pudding and pound cake with fruit. The design incorporates reclaimed pallets, galvanized metals and other rustic art. "It was a rundown building, but it fit the concept," Baumann says. "It has a lot of masonry work that’s beautiful." The name is a combination of two small towns west of Fort Worth. "My wife threw it out there," he says. "Originally, those towns were ghost towns named after a man. Thurber went on to become one of the biggest brick providers in the area; most of these towns are actually built on Thurber bricks. That area represents where East Texas becomes West Texas."